If you often have more to do than there is time to do it, then you are letting too many tasks be important at once. Most of the tasks you have to do are probably urgent and, to some greater or lesser degree, worthy of your time. But if you have to choose between too many important tasks in your daily prioritization, then do you really have the right criteria for determining what is important and what is not? Perhaps now is a good time to have a closer look at why you let something be important, just to make sure that you have consciously set the bar for what matters and what doesn’t, and are comfortable with where that bar is at. 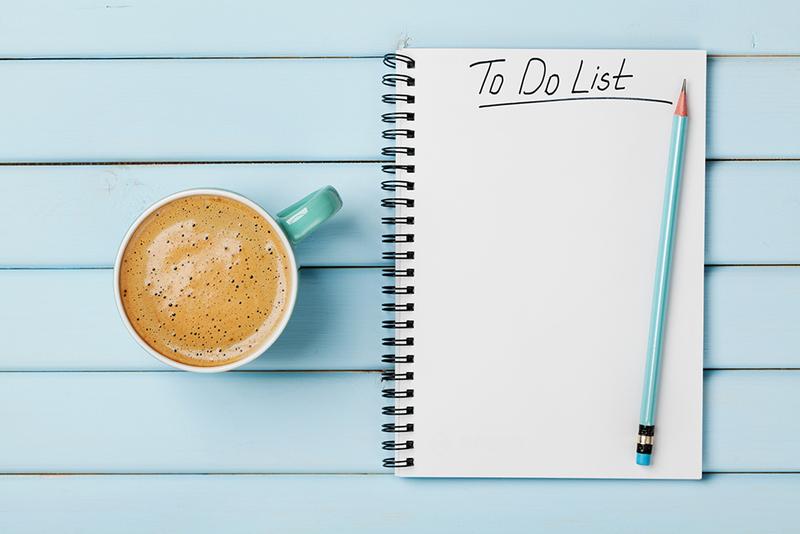 Refocusing your priorities will allow you to have a more reasonable workload with time for the tasks you need to focus on most, as well as reflection, recreation and rest. To achieve this, you cannot have too many tasks labelled as important simultaneously or all the time. List as many reasons as you can think of as to why a task you have to do would be regarded as important. Now add a “because” clause at the end of each reason in order to make it crystal clear why you believe this is a good reason to prioritize by. You might feel as if you are stating the obvious, but if it turns out that it is the least bit difficult to decide why a task is deemed important, it would, in light of your busy schedule, be good cause to think again. Are the goals you are responsible for represented on the list? If not, add these as reasons. You need to have them on the list because if the tasks do not contribute to attaining the goals you have set for yourself, how could you determine if something is important or not? Are there reasons on the list that you cannot tie to a current goal? If so, perhaps you would be right to define a goal that includes these somehow. How else are you supposed to know if you have succeeded – and if it really is important? Have you written down any reasons that appear weighted, meaning, that are more important than other reasons? When you have two tasks that are equally important, do the task that has one of these reasons attached to it first. Is this a reasonable amount of reasons? If you have more on your plate than you are comfortable handling, what needs to go? Which of these should no longer be regarded as important (no matter how urgent it is)? Remove a reason to ease your burden. Or, if this decision is not yours to make, ask your boss to sit down and discuss if this reason should continue being something you prioritize by or not. If you examine your motives and make it clear to yourself what you are perceiving as important, and why, you will be able to take concrete and tangible steps to improving your situation at work. The underlying causes of the “it’s just too much right now” state will be brought forward into the light, and you will enable yourself to prioritize consciously. Instead of being overwhelmed, you will be in much greater control of your work and time. He is also the author of Super Structured. “Information overload”, “too much going on”, “full email inbox”, “too much on your plate”, “heavy workload”, “ASAP”, “piles that keep growing”, it has to get better soon… Yes, there are many ways to describe the chaotic life many of us lead at work. But, if we create a better structure at work, we will have more time for what matters most to us and to our business. Super Structured is based on a highly successful training program and is for anyone who wants to create a workday that runs smoother and with greater ease. In short chapters with useful advice and tips.